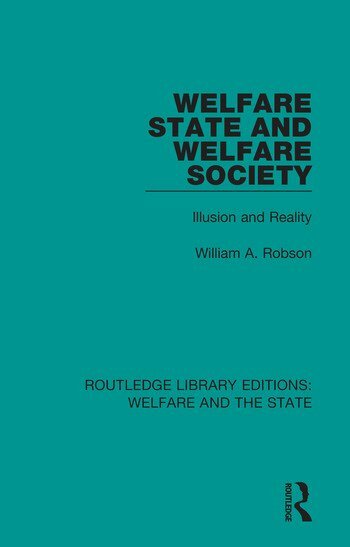 Originally published in 1976, Welfare State and Welfare Society breaks away from the prevailing notion that the welfare state is mainly concerned with the well-being of the entire nation. The book distinguishes the welfare state from the welfare society, and shows that there is often a yawning gulf between public policy and how people feel, think and behave. The book examines critically, the policies which have been adopted or advocated as relevant to a welfare state, and inquires how far the hopes and expectations centred on it have been realised.